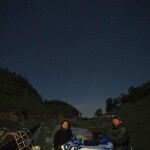 Culture and adventure holidays are now relatively common in China. But if you’re looking for something off-the-beaten-track, where knowledgeable and reliable guides are paramount, there are fewer options. Nicely Made in China (NMiC) has found such a team for you! They are called Red Rock, and are based in Dali, in the heart of Yunnan, a favourite region of China amongst those in the know. NMiC had a fascinating chat with Australia-born Mancunian Ed Jocelyn, a Long March scholar, and one of the two founders of Red Rock. 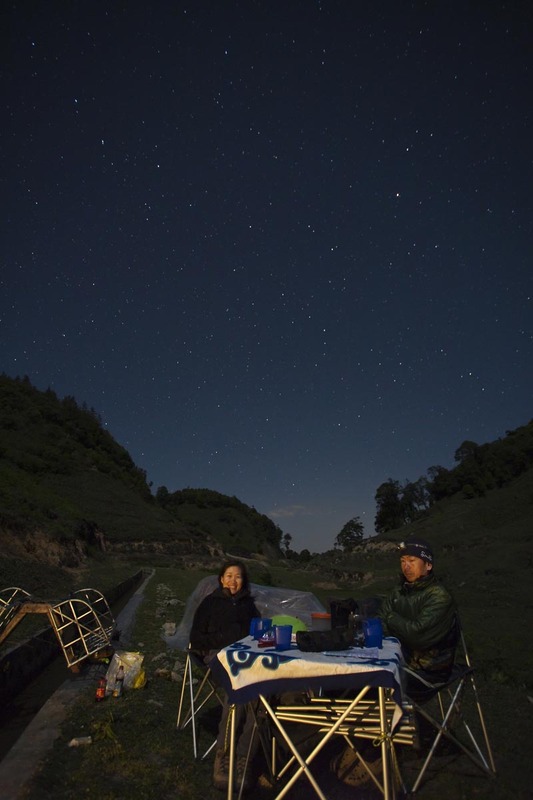 He talks about rediscovering ancient tea and horse trails, the differences between mules and horses, and speaking Mandarin with a Yunnan accent. Ed, how did you arrive in China and why did you create Red Rock? I arrived in China in 1997 after a few years between England and Russia spent studying history and Russian. 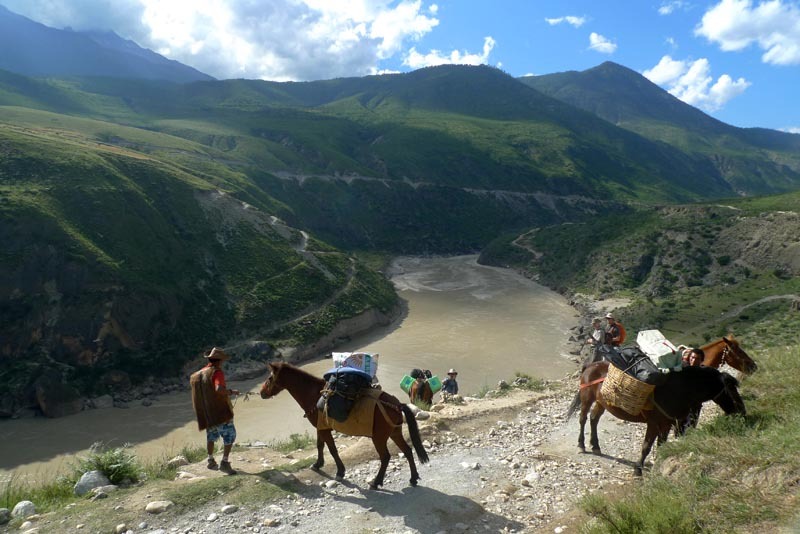 Between 2002 and 2007 I did extensive research for a book I wrote on The Long March – I actually walked the length of the route – more than 12,500 km! This is how I got into trekking. I discovered that what I really liked doing was the field work and interviewing people. As a result of spending so much time in Yunnan, I now speak Mandarin with a heavy Yunnanese accent, which leads to some strange looks when I’m in Beijing! 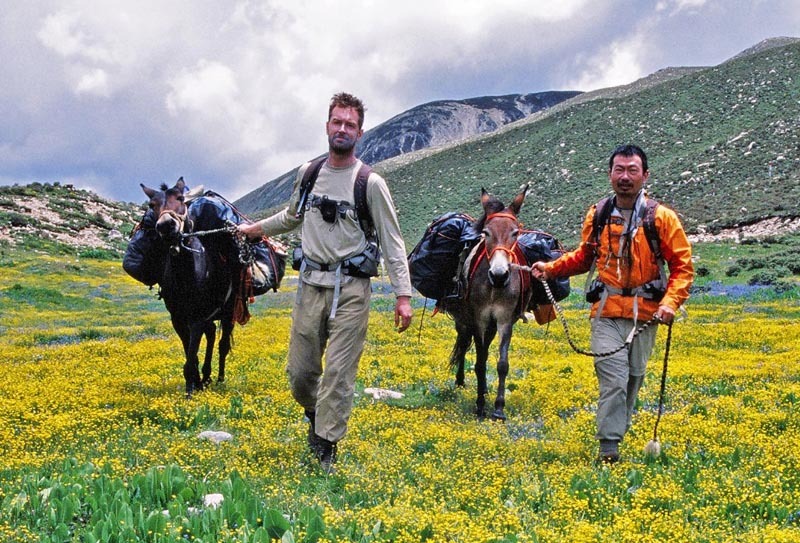 I wanted to share my enthusiasm for trekking and Yunnan with other people, so, with my business partner Yang Xiao, we bought some pack animals and decided to create Red Rock in 2008. 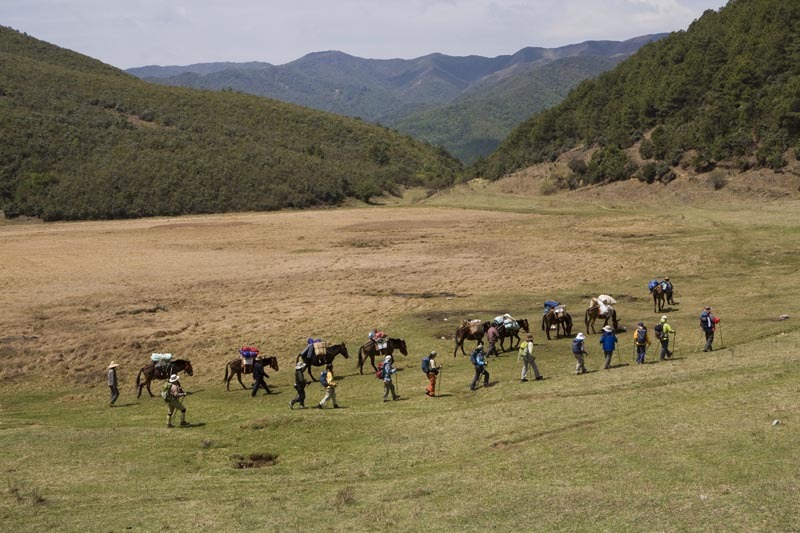 It works two ways: either people call and ask for something in particular they’d like to do which we then organize in Yunnan or Sichuan, or they accompany us while we recreate historic tea and horse trails. For those discovery trips we don’t know the conditions we’ll face, we don’t know where we’re going to sleep and we don’t always know exactly how long it will take. For people who need a bit more certainty we have other well known trails where we know exactly how long it takes to go from A to B. 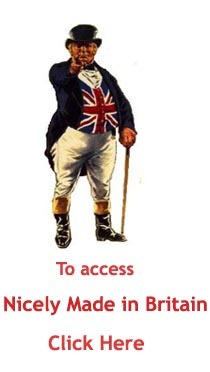 Anyone reasonably fit can come with us. Groups must be between 4 and 10 people. For smaller numbers the prices become really high but it’s still doable. What are the routes you offer and how do you find them? We now have 6 mature routes. It’s possible to leave from different points but in general we start from Lijiang, Shangri-La or from Dali. Most of the trips we do these days are related to the important tea and horse trading routes. They stretched from India to China with a lot of cultural exchanges taking place along the way. There are still very few tourists on these trails which allows for a diverse and unique experience. 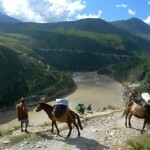 We have another trek which runs across the “Three Parallel Rivers” for 120 km. This route is really tough but very rewarding. The 3 rivers are the Lancang (which becomes the Mekong), the Jingsha (later the Yangtse) and the Nu which turns into the Salween in Burma. We find routes mostly by word of mouth. For people who live along the trails, this is part of their family history, so we often hear locals talking about the old caravans. 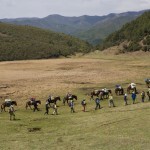 Sometimes people see us using horses and mules and just say “The Tea Horse Trail is here”! To find the trails that still exist, though, we mostly rely on local knowledge, as the major routes in the history books have often been overtaken by modern roads. 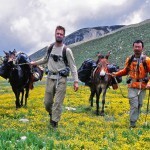 What type of pack animals do you use? We like to give something back to the communities we encounter – remember that in those areas there’s little or no tourism industry – so we rent the animals from local people. In some areas it’s “mules only” like in the Dali area, but in Lijiang, we get a mix with more horses. Personally I prefer mules. They’re less trouble than horses, they eat a wider range of things, they can carry a lot more and are hard workers.